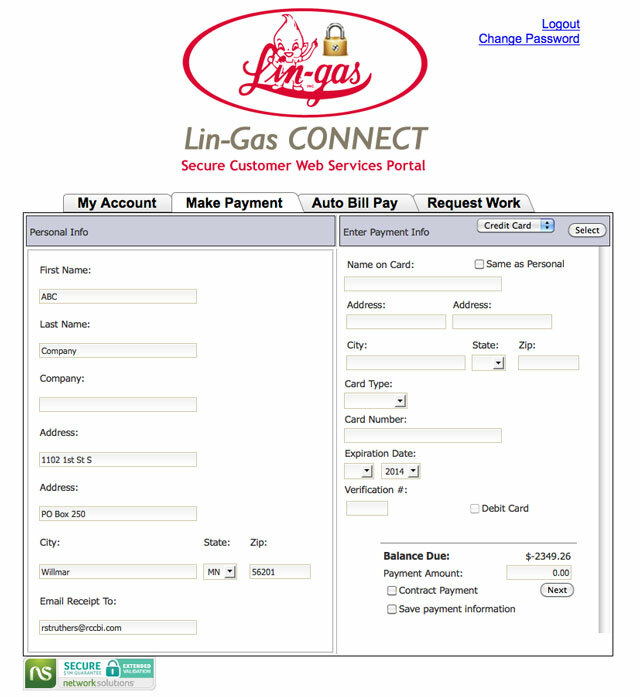 Lin-Gas is pleased to announce the ability to view your account and conveniently pay your bill online – from the comfort of your own home! 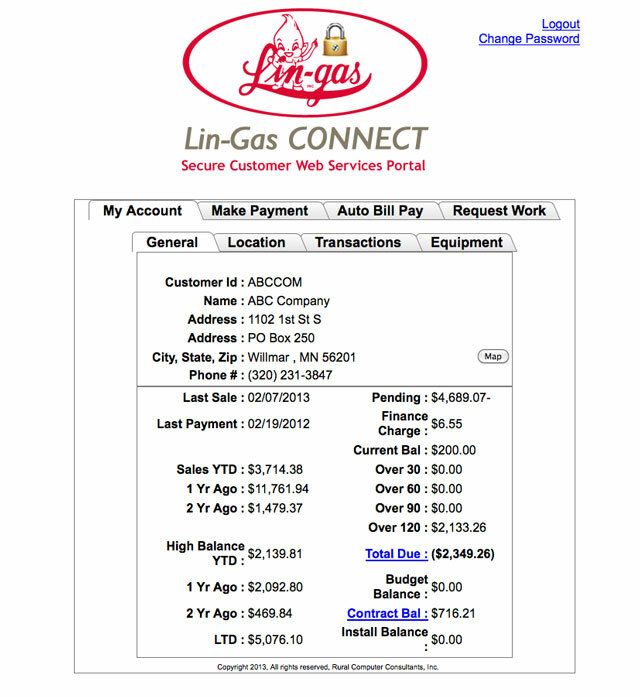 With the addition of Lin-Gas Connect – our online Customer Web Service – we can now offer a hassle–free payment option which allows you to view your account balance and invoices on-line as well as contracts, including balance and gallons remaining, and past transactions. 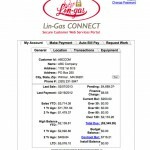 You can pay by Credit Card or Electronic draft from anywhere in the world using a standard web browser. How does this work? 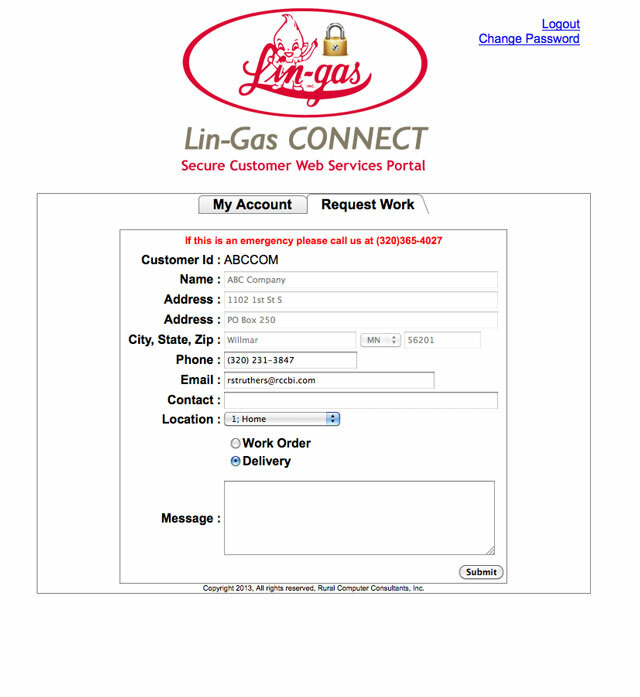 Our system administrator will control access. You’ll simply register via a link on our website. 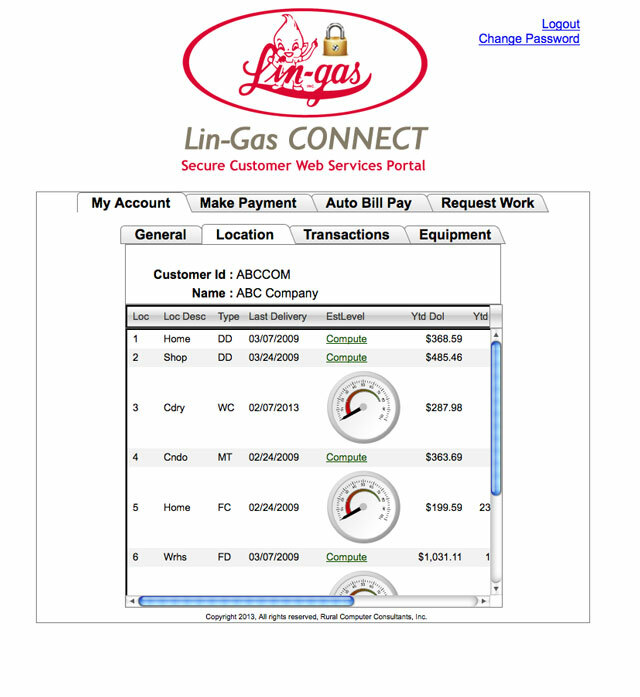 First Time registrants will need a few pieces of information that can be found on your last paper bill (or simply call us and we can look up the information for you). 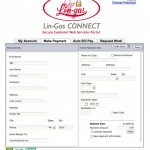 After your first-time registration, you’ll have a username and password to login and pay future bills. Sessions time out after a defined period of inactivity and firewall security is in place to ensure there is no unauthorized access to your account information. 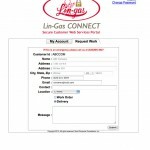 Customer Web Services is available 24 hours a day, seven days a week for your convenience at www.lin-gas.com. 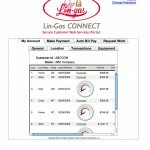 We appreciate your business and look forward to serving you in the years to come.